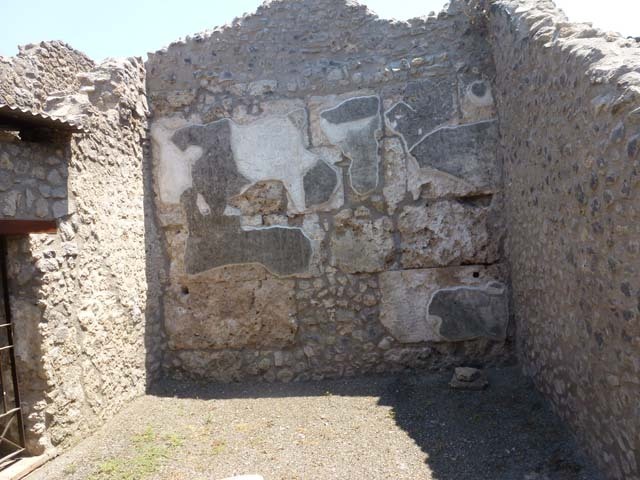 II.4.5 Pompeii. Shop in Complesso di Giulia Felice (Julia Felix) or Praedia di Giulia Felice. II.4.5 Pompeii. May 2014. Doorway to shop in Complesso di Giulia Felice. Photo courtesy of Paula Lock. 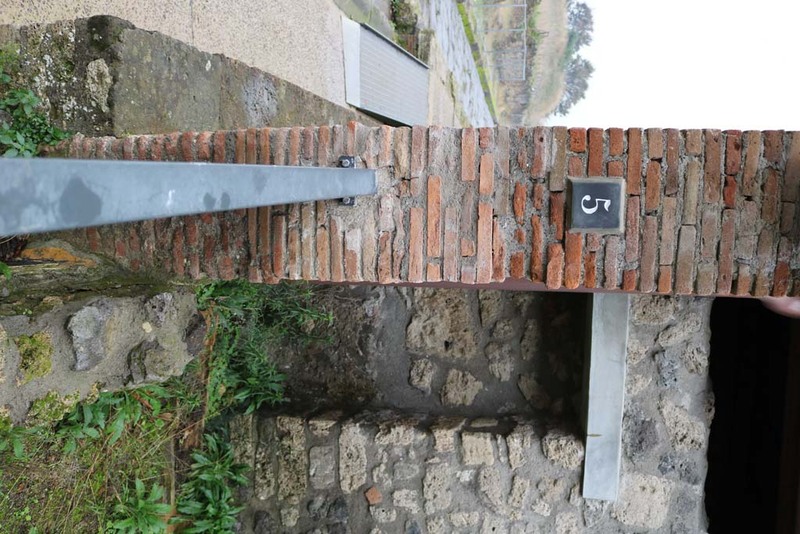 II.4.5 Pompeii. December 2004. Shop entrance doorway, looking south-east. 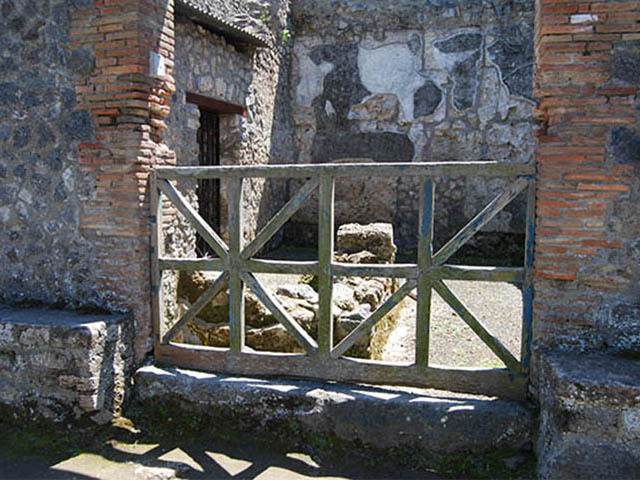 II.4.5 Pompeii. June 2012. Looking towards south wall of shop. Photo courtesy of Michael Binns. 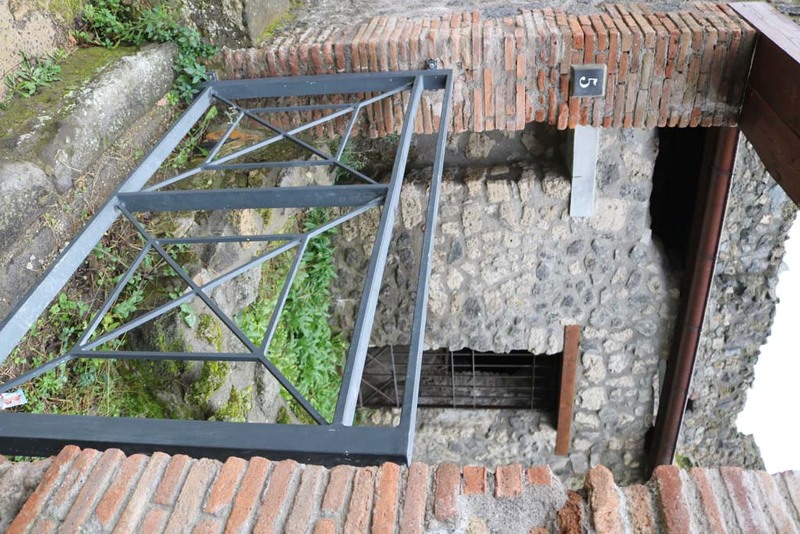 II.4.5 Pompeii. June 2012. Remains of podium/bench, looking from north-west corner. Photo courtesy of Michael Binns. II.4.5 Pompeii. May 2003. 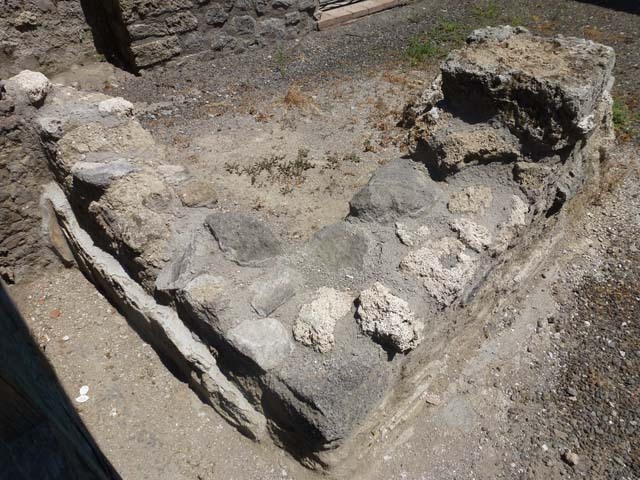 Remains of podium/bench, looking from south-east corner. Photo courtesy of Nicolas Monteix. 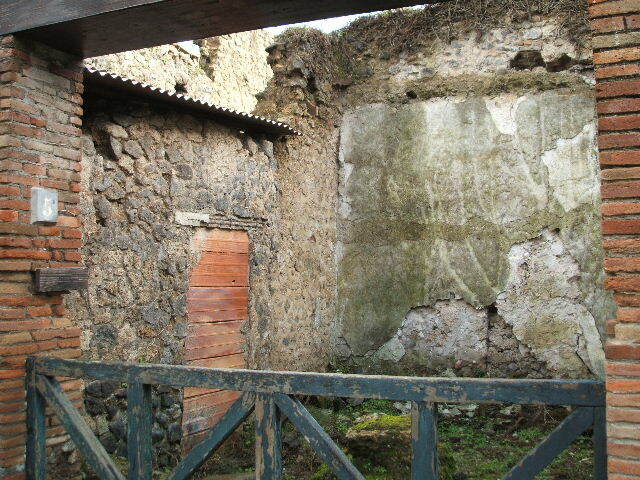 II.4.5 Pompeii. May 2003. Detail of podium/counter. Photo courtesy of Nicolas Monteix.